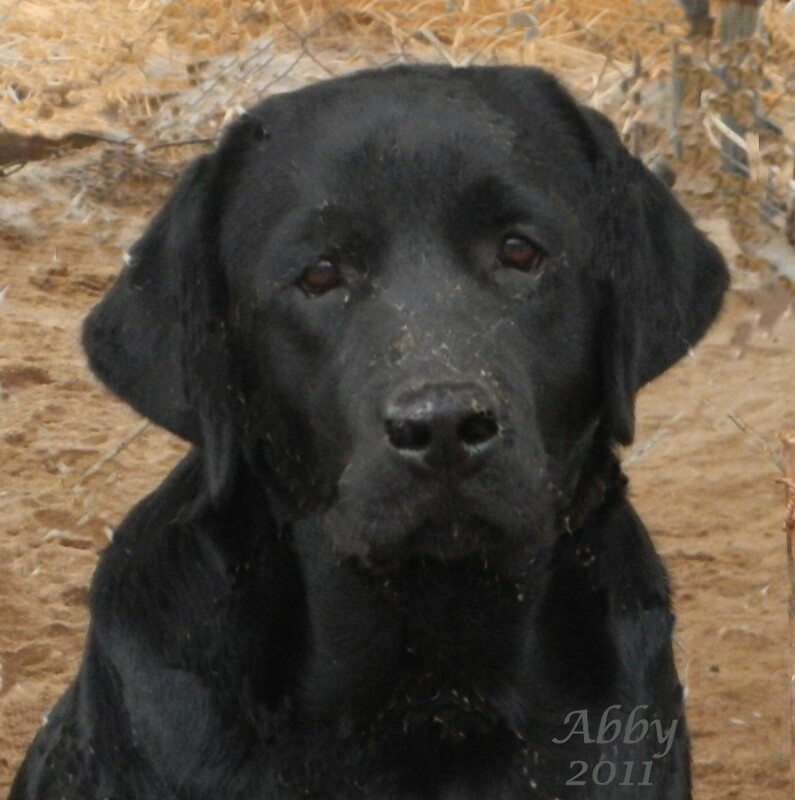 Abby one beautiful black Labrador and she is a Labrador from English and American show lines. Both of her parents pedigree are full of famous Labradors. Her mother Esther's father is a import form England and he is AM CH Langshott Gale Force From Kimvalley, and he earned his American show title with AKC and his father is a famous English show champion in England, his name Eng. CH Sandyland Gad-About.... And on her father's Yogi's lines are line bred on show champion lines from BISS CH. WEATHERTOP EL NINO call name "Storm" he is from the Weathertop kennel of England. The famous show champions in her lines are ENG. SH. CH. Sandylands Gad-About, Eng. CH Sandylands My Guy, AM CH Marshland's Blitz, and a well known boy name AM CH Mandigo's Bruiser of Woodstock. And a famous Labrador I love the most in his lines is a English boy named "Vanny" and his full name title is "International/World ENG. FR. AM. CAN CH. Sandland Rip Van Winkle". Their show achievements are that of AKC, International, and World Champion. You will see other titles such as CD (companion dog), CDX (companion dog excellent), CGC (canine good citizen), SH, and WC... Just some amazing Labradors in his lines... All title dogs are in red in the pedigree. Good news, Abby's father Yogi is a China show champion and of course a American show champion. Her hips are OFA "Good", elbows normal..